Please note, what I am doing here is philosophy as informed by some very new research in the sciences. Memory deletion is NOT a reality. There is no clinic or hospital to go to have your memories erased. Please do not email me or comment with requests for help with trauma you have suffered. If you are suffering from debilitating memories, please seek professional help, or in extreme cases, call a suicide prevention hotline. In the great mind-bending science fiction comedy film Eternal Sunshine of the Spotless Mind, a man finds out that his ex girlfriend has gone through a procedure to erase him from her memory. Unable to deal with the pain himself, the man also decides to go through the procedure and wipe away his ex girlfriend from his memory. We all have experiences in our lives that “we’d rather forget” and we do our best to persevere through them. Painful memories of past relationships are just one example. Whether they are memories of humiliation, sadness, or fear, it’s easy to think that we’d be better off not being able to remember, and thus be unable to be reminded of, these painful memories. One of the most obvious cases of painful memories that many people might wish to free themselves of, is memory of trauma, whether in the case of Post Traumatic Stress Disorder (PTSD) or physical or sexual abuse. Trauma can be a debilitating condition to live with. It can lead to chronic debilitating anxiety, it can cause horrific flashbacks, cause people to develop drug dependencies, and cause people to express violence and anger towards those around them. Dealing with trauma my block someone from forming or keeping lasting relationships, and may make it difficult to hold down a steady job. It’s not only the individual suffering from trauma that is affected, but whole families can be hurt from this, whether parents, spouses, or children. Deleting memories isn’t the only way to alter our memory, and there may be many reasons for wanting certain memories inserted for events we never experienced. Imagine you had a rough childhood. Maybe you were fat, maybe you were poor, maybe you were lonely. Rather than simply deleting those negative memories, what if you could implant more positive memories? Memories of a happy childhood. Memories of enjoyable family vacations. Maybe a memory that in high school you dated the most beautiful and popular girl or boy in school. The effects on your well being and psychological state are difficult to determine, but it seems likely that inserting happy memories like these can easily boost self confidence and self esteem. These insertions don’t only have to deal with distant memories. You might not have the time or money currently to go on the Caribbean vacation you’ve always dreamed of, but what if for a fraction of the price you could have the memory of a wonderful week long vacation inserted into you? The possibilities for, and benefits of, induced memory alterations are abound. But how plausible is this all? What justification do we have for thinking these sci-fi scenarios can be a reality? Recent research into long term memory is opening the door to these possibilities. Experiments done with rats and mice have successfully created memories (maze learning, negative shock association, taste aversion, etc…) and then successfully removed those memories through administrations of various drugs at particular times. The exact details of how these experiments work remains to be seen. Further research is separating out the process of memory formation from memory recall, and further differentiating between blocking recall of a memory and actually deleting all traces of a memory. To the degree that scientists can be justified in interpreting the results of these experiments as actually “deleting” the memories these rats and mice have formed, we are getting closer and closer to making this a reality for human beings. But a significant and obvious problem surrounding memory alteration is the fact that most of the current research is being carried out on animals, and until we run these same tests on an actual language using person, there is simply no way to be sure of what unintended effects may arise. Animals certainly have the ability to learn and retain information from the past and act on it accordingly. But whether animals have any explicit memory above and beyond their implicit memory is up for debate. Does a rat really “know” the details of past events, or is it simply able to act accordingly in a present situation, based on the neurophysiological changes it has undergone in the past? And whether animals can engage in the kind of “offline” recall that humans are able to is even more unlikely. Animals cannot stop and reflect on past experiences, they cannot dwell. For an animal, the memory may be there “in the brain”, but it shows no effect on behavior until the animal is presented with a situation that engages the relevant patterns of neuronal firing associated with the memory. It has no way of accessing the memory while it’s lying in the sun (or at least we have no indication that this is the case). What this means is that to the degree that we can’t be certain of precisely what the underlying mechanism is that is causing the lack of memory recall in any given experiment, we can’t be certain that we’re really addressing the problem. Maybe in a human, the memory will not arise when presented with specific situations that normally cause it to come to the forefront of consciousness, but can we be sure it won’t haunt the person at any other times? We would have to be sure to erase the entire memory, rather than simply block recall to it. But this just brings up another problem; can we be sure we can remove an explicit memory without removing the associated implicit or procedural aspects of memory? That we can really simply “delete” a memory from the brain. Across most of the literature there is a presupposition that an experience is encoded as a memory by some stored pattern of neuronal firing, which when reengaged corresponds to the recall of the memory. This is not specific to memory literature, and is rather an assumption prevalent in most of cognitive science, and stems from more fundamental assumptions having to do with the nature of consciousness and mental states in general, which is that experience must be realized in patterns of neuronal firing, and thus our neurons “store” experience. But our encoding picture of consciousness has been greatly challenged recently and is no longer the safe assumption it used to be. I touched on some of these issues in my post, What is a Memory?. The relevance of these issues for the current conversation is that these assumptions lead us to the conclusion that at root, what is created when a memory is formed is a specific explicit memory. General memory then supposedly comes about as a sort of meshing of a series of specific explicit memories, that they somehow combine together. There is much data, as well as common sense intuitions that would contradict this idea though. The development (or evolution) of memory would indicate that explicit memory only comes about after procedural and semantic memory (i.e. – if you need to be conscious to remember explicit events, it’s unlikely that simpler organisms, which obviously have implicit and procedural memory, also have explicit memory. Explicit memory had to be a later evolutionary development), in which case it’s unlikely that the fine grained detail normally associated with explicit memory is present at root. There’s also the overwhelming consensus that memory is not a passive process of recollection but rather an active process of construction, and this is extremely problematic for the idea that what are stored are specific explicit memories. We know that the simple act of recollection necessarily changes our memory, and is influenced by all sorts of things like our current emotional state, our attention, and other prior knowledge. Next time we recall that memory, the processes that occurred during the last recall have made their effects on our neurophysiology. If a memory is constructed, what is it constructed out of? What IS at root? If our assumptions about what is stored when a memory is formed are incorrect, it could be that altering one specific explicit memory without causing unintended consequences is simply not feasible. Even if we assume that explicit memory IS what is at root when a memory is formed, there are still a host of problems that arise. Memory does not function like a series of unconnected files stored in a filing cabinet; memory is a huge interconnected web of associations. 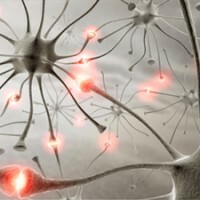 It is unlikely the neurons corresponding to a particular memory are not engaged by many other memories or processes. What associations might be altered by removing even a single memory? The fact that traumatic memories likely have strong personal meaning to us, and thus may have many rich connections throughout the brain would also indicate that it would be more difficult to target these very memories without unintended consequences. These are just some of the practical hurdles we face in making memory erasure or insertion a reality. Just because we can imagine something, doesn’t make it so, and it could be that the nature of consciousness simply precludes this possibility. But next time, for the sake of argument, I’ll be assuming that all these problems are addressed through intensive research. Memory deletion or insertion becomes possible and plausible. Is there anything to stop us from using this new technology? What are the kinds of ethical considerations we need to take into account, whether it is the broad scale considerations of whether to make this sort of technology available, or the personal considerations each person must go through when deciding whether to undergo this sort of procedure themselves? Follow up: Should we erase our memories? I am excited about advances in this area. The possibilities are so great! Commercial applications as well as medical are bound to be beneficial to humanity. So… Where do we go to get these new memories? I’m not sure I understand your question Naomi. Can you go into more detail? Thanks! Thank you for your article for I liked it a lot. And I will continue to pay close attention to your latest discoveries; your hardwork might be priceless for so many helpless ones who get obsessed by bad memories. Wish you all the best and succeed earlier! If someone was suffering extreme PTSD and went through sexual abuse, would deleting their memories help? and if so, how would the memories be deleted? how long would it take to reach the technology needed, and how much would it cost?